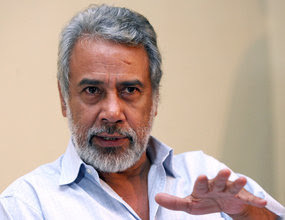 Connect Asia East Timor PM Xanana Gusmao defends himself over recent allegations of misconduct Created: Wed, 02 Sep 2009 13:04:09 GMT+1000 Sara Everingham, Dili Last Updated: Wed, 2 Sep 2009 17:32:00 +1000 - East Timor's Prime Minister Xanana Gusmao has defended himself against allegations he broke his country's laws by signing a contract with a company his daughter had a stake in. On June 26, the ABC reported that it had obtained documents that showed Mr Gusmao's daughter, Zenilda Gusmao, was a major shareholder of Prima Foods - one of a group of companies awarded contracts to import rice to East Timor by the end of 2008. The ABC reported that Mr Gusmao signed off on a $US3.5 million contract with Prima Foods. It was reported Zenilda Gusmao had an 11 per cent share in the company and that according to the laws in East Timor the Prime Minister cannot sign off on contracts with a company in which a family member has more than a 10 per cent stake. The Prime Minister says he is an honest man and his deputy says documents showing Ms Gusmao gave up her shares before the contract was signed are authentic. It is clear Mr Gusmao is angry about the allegations of corruption against him. At a recent press conference he said the stories are fictitious and he does not like media that report rumours. He said in East Timor the people "scream" for the media to grow in its capacity and responsibility so that they do not publish stories that are based on rumours and not facts, and said Australia was a developed country where rumours had been reported. East Timor's Deputy Prime Minister, Jose Luis Guterres, says there are documents to support the Government's position that Ms Gusmao had given up her shares in Prima Foods before the contract was signed off on. "I was also very much unhappy with allegations from some of the journalists in Australia," Jose Luis Guterres said. "But I believe that after the clarifications, things will be clearer, clear, all clear, but I can say to you that we follow our rules. I can tell you that we take seriously the question of corruption allegations and also we are very serious that we pass the law ... and that the law was approved and managed in the Parliament to create the Corruption Commission." Two documents indicating that Ms Gusmao sold her shares in September 2008 were posted on the website of the East Timorese newspaper, Tempo Semenal, on August 3. The editor of the newspaper, Jose Belo, told the ABC he couldn't confirm the authenticity of the documents. In a statement ABC News says it is eager to further investigate this story and follow up Mr Gusmao's allegations in relation to recent coverage. It says the East Timorese government has denied the ABC's many requests for access to documents which reportedly support the Prime Minister's case. East Timor's Ombudsman, Sebastiao Ximenes, is investigating the way in which the rice contracts were awarded. He has confirmed that he received a letter from President Jose Ramos Horta, dated June 2, calling for an investigation. In the letter, Mr Ramos Horta said: "There is a widely held view that contracts for the supply of rice are being awarded without proper tender processes, involving collusion and cases of corruption. The persistence of such views is harmful to the good operation of our democracy and it is important that this situation be clarified quickly and thoroughly." East Timor Directory - All the web's best sites about enigmatic Timor-Leste.